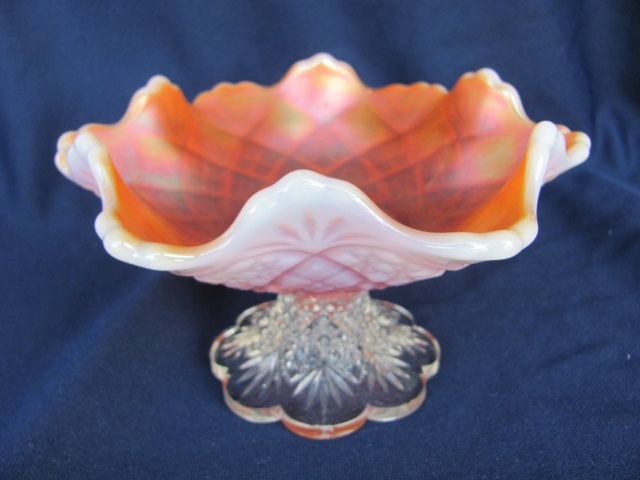 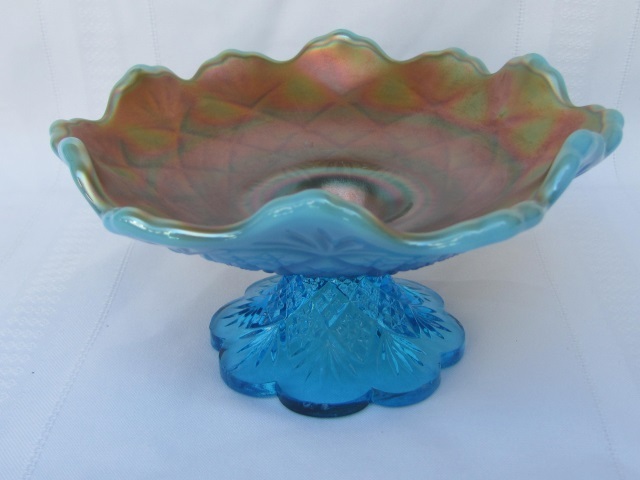 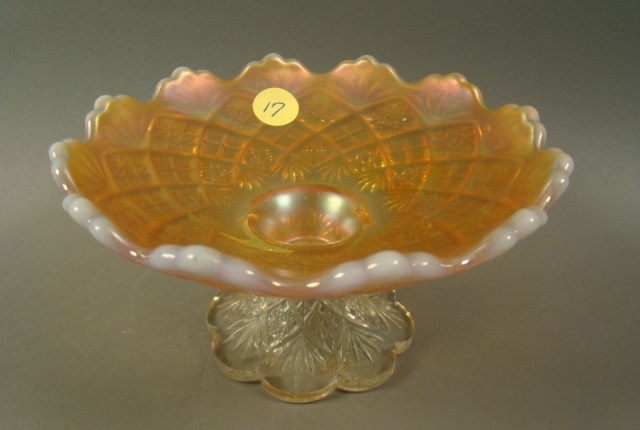 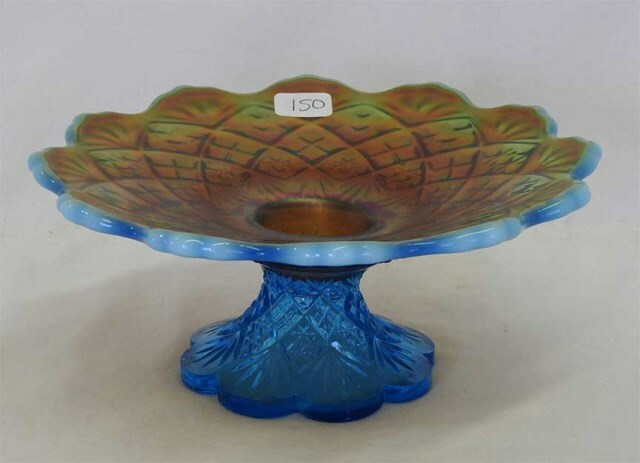 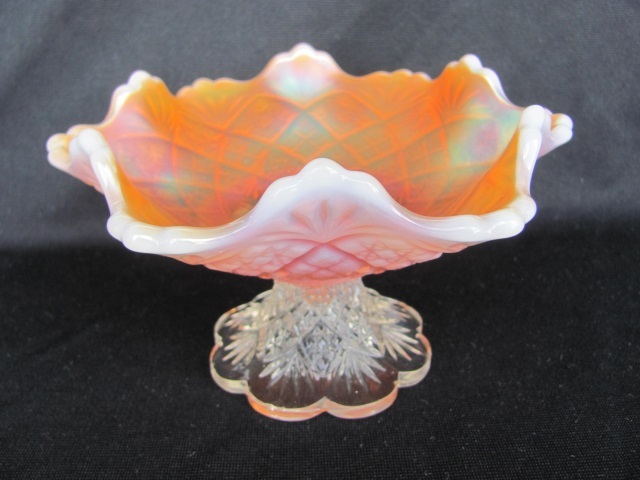 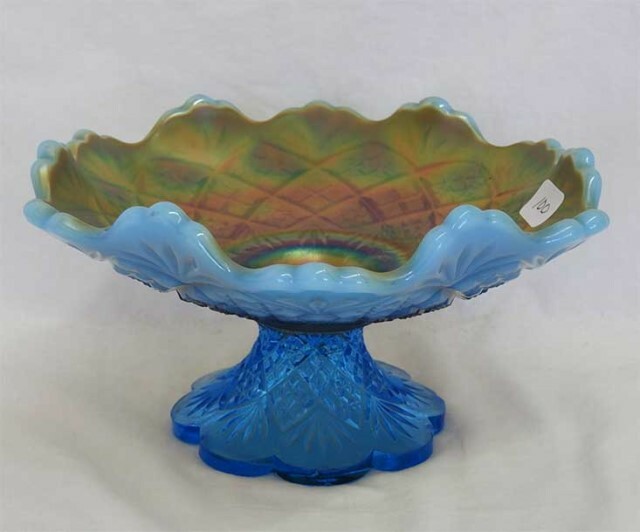 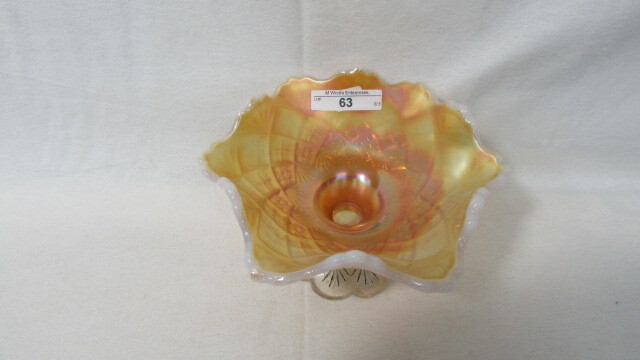 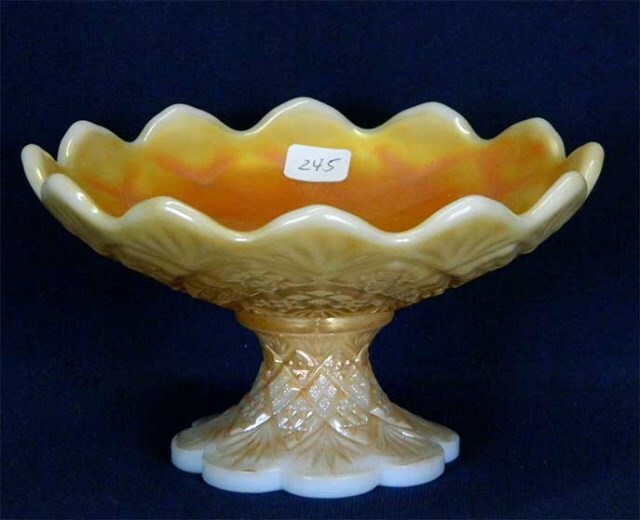 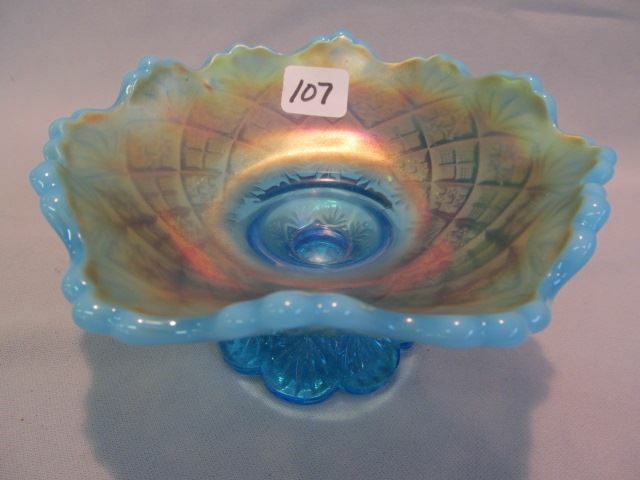 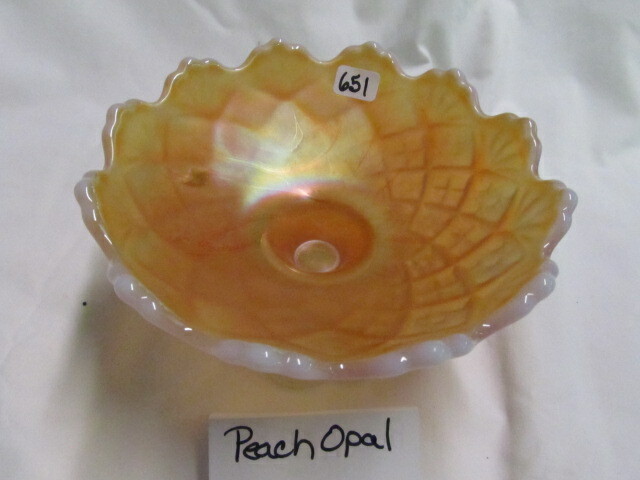 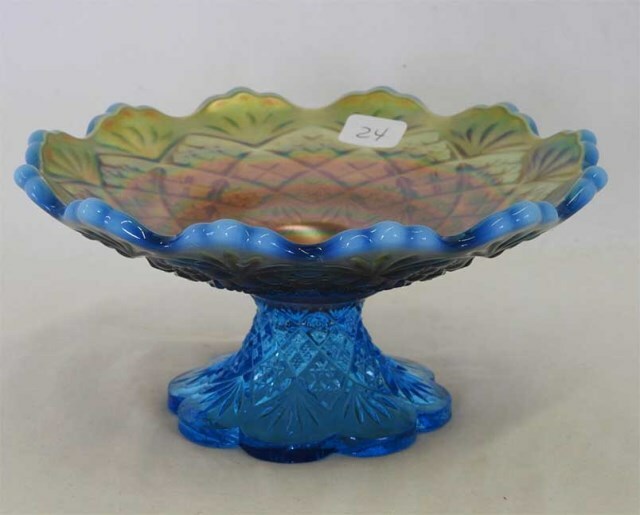 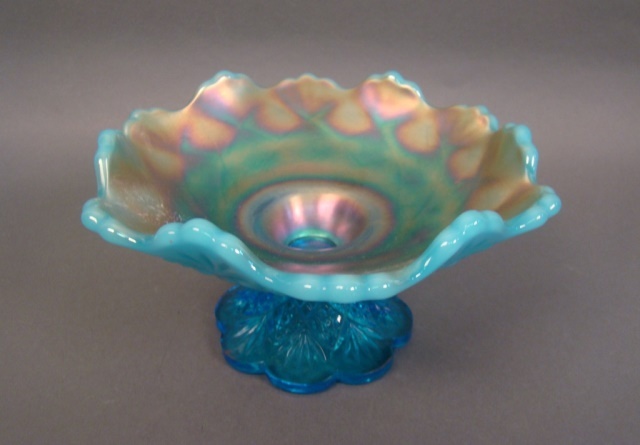 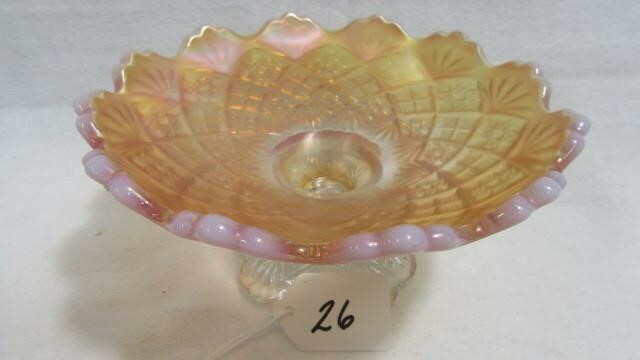 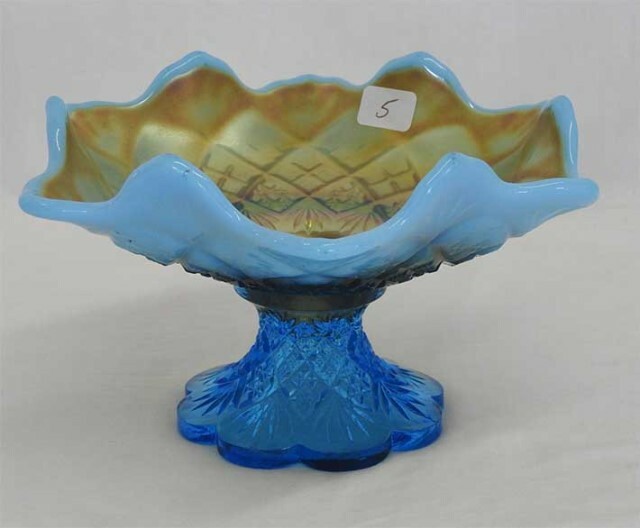 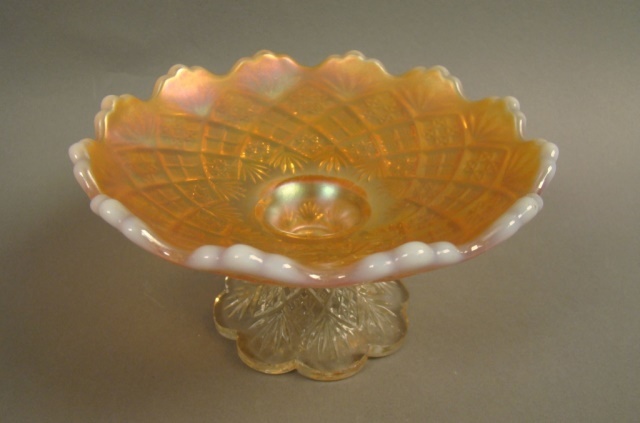 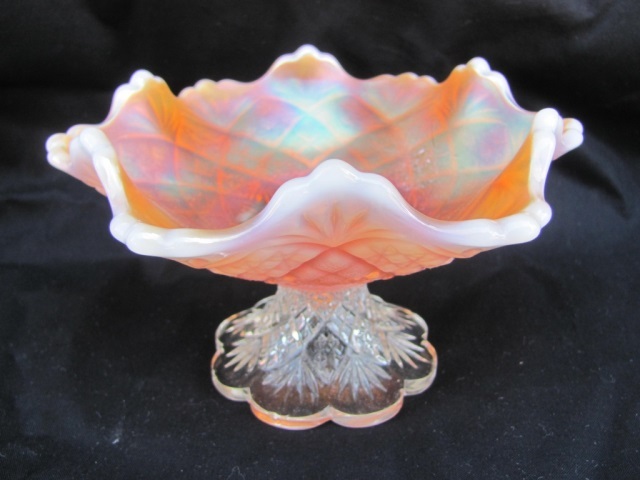 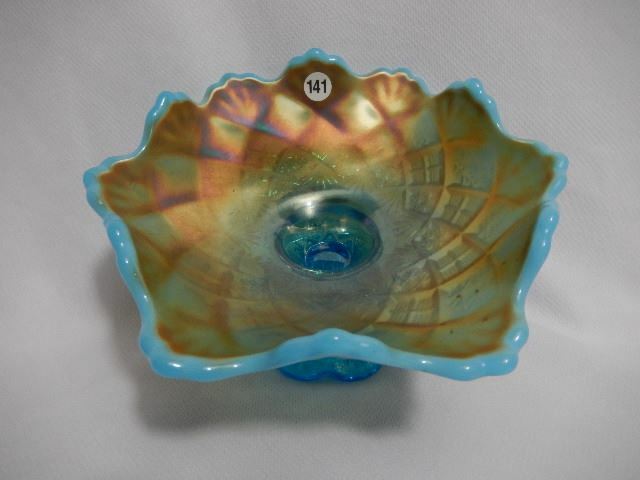 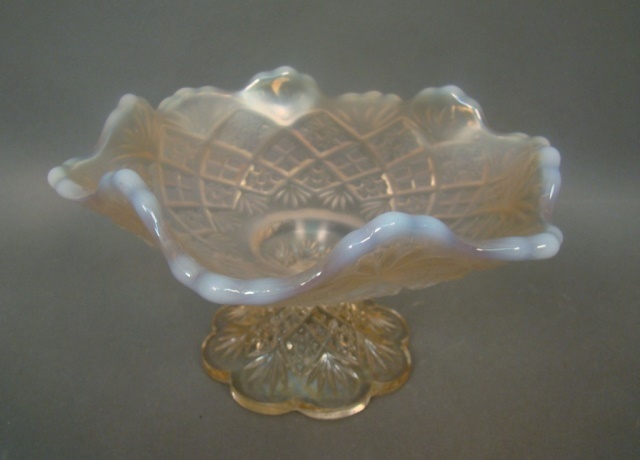 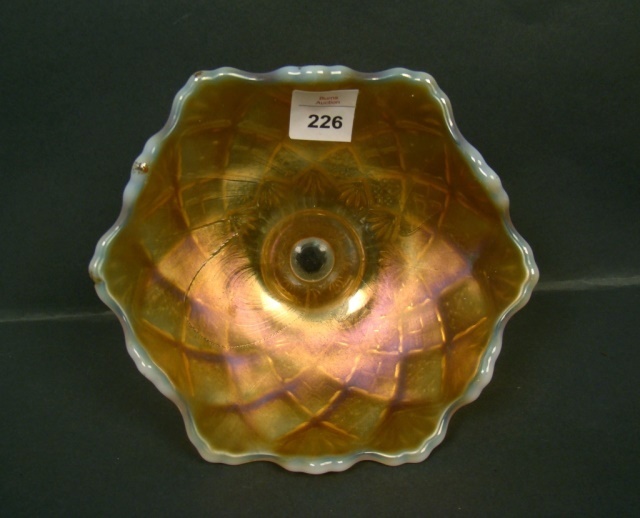 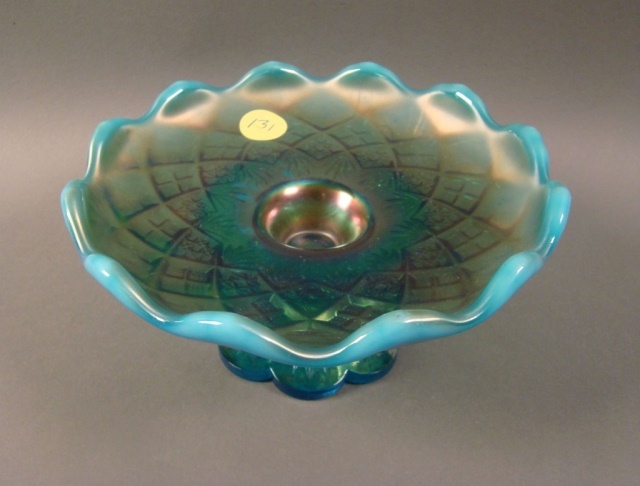 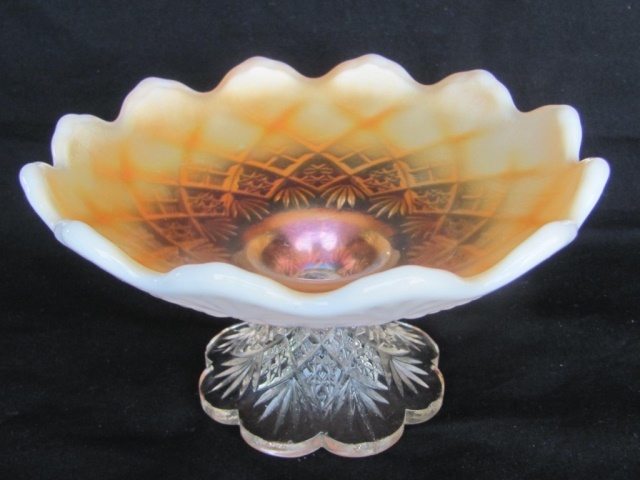 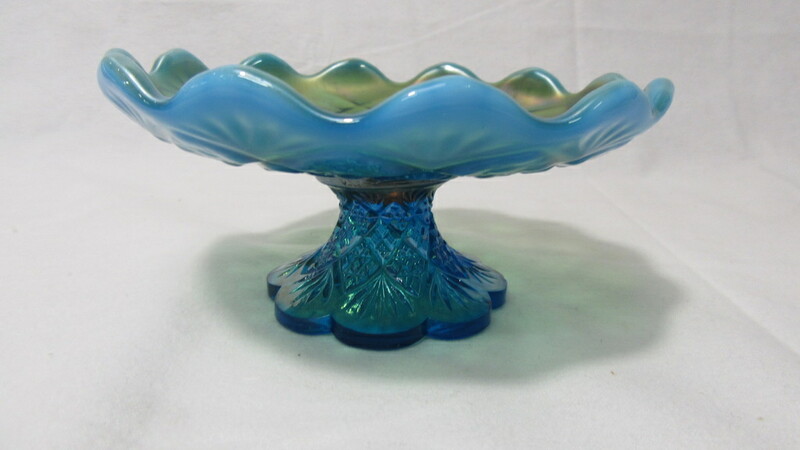 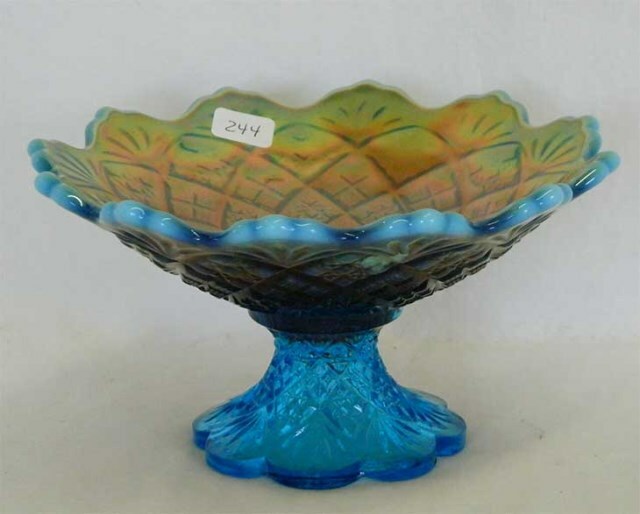 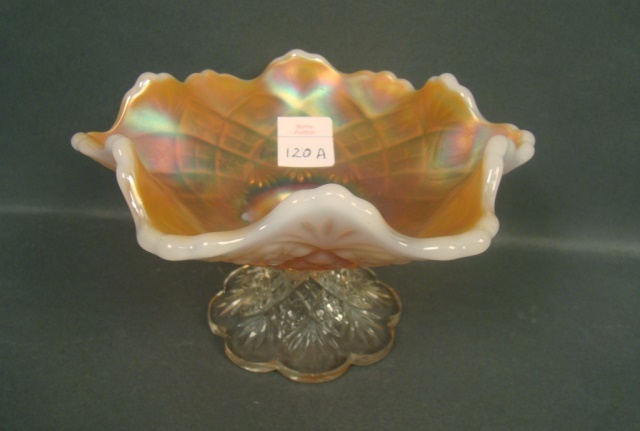 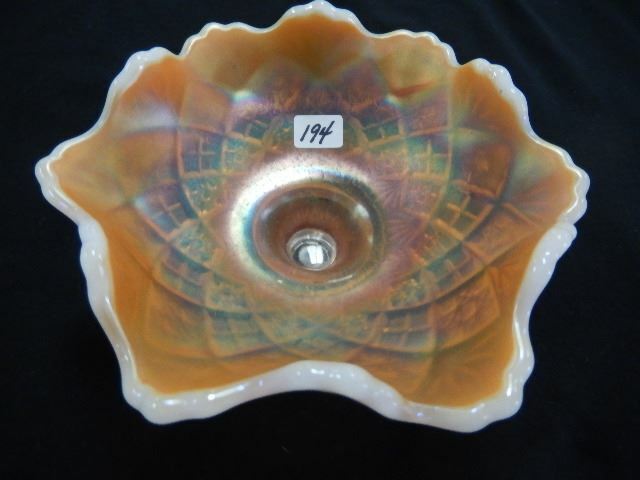 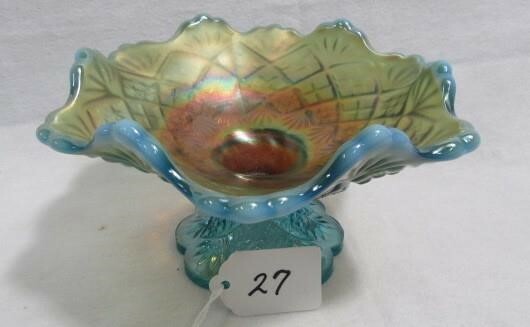 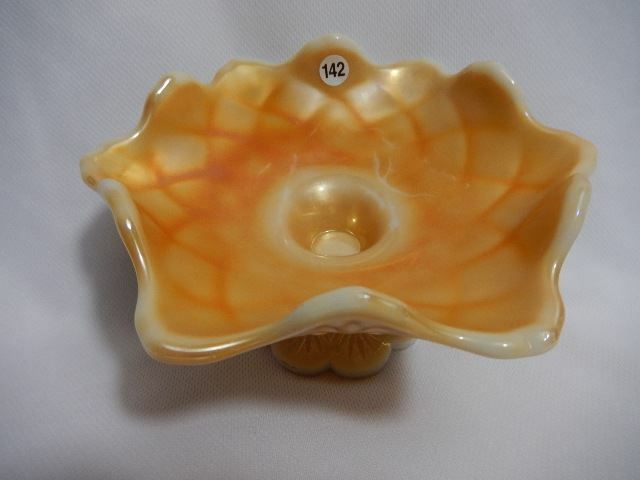 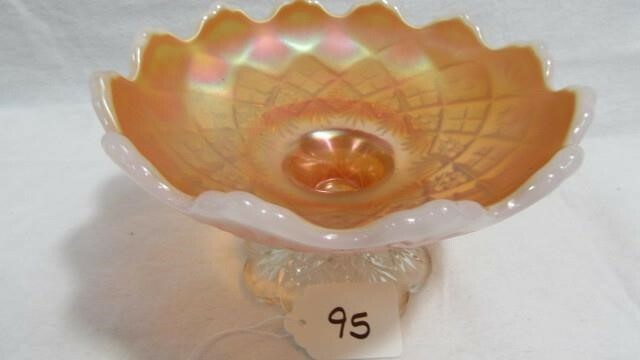 This pattern is seen only in this smallish (about 6 inches across) compote. 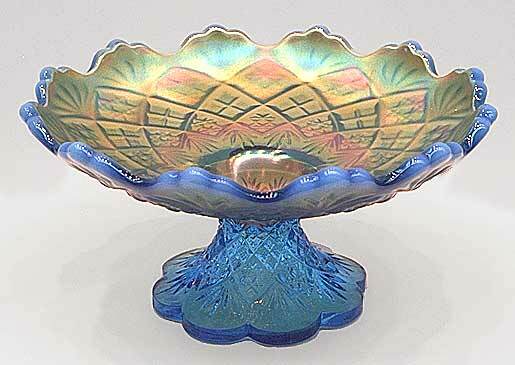 The pattern is on the exterior, the iridescence on the inside. 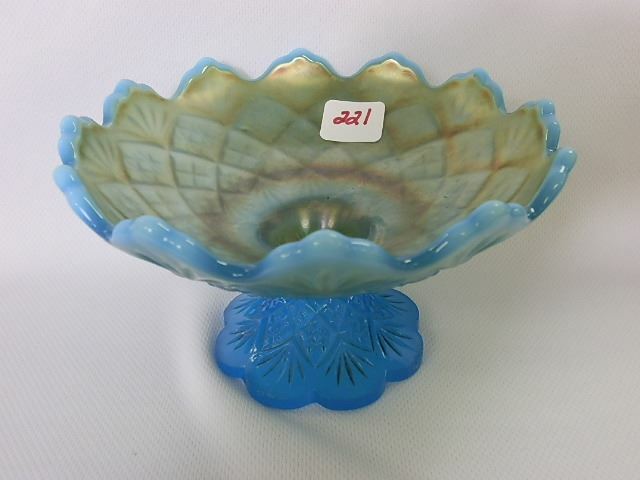 Most are ruffled. 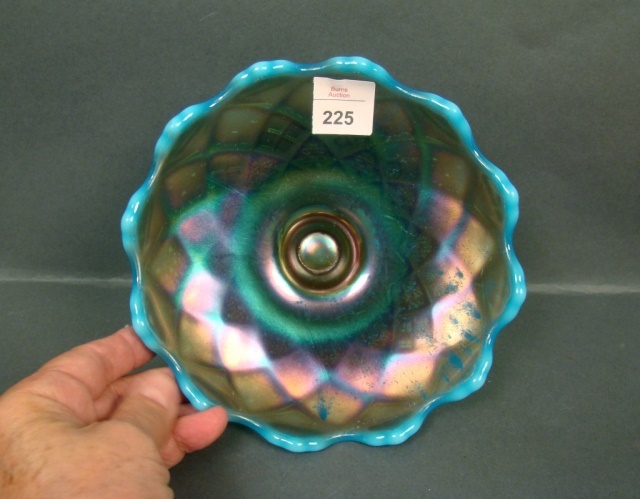 Note the similarity to Dugan's Folding Fan. 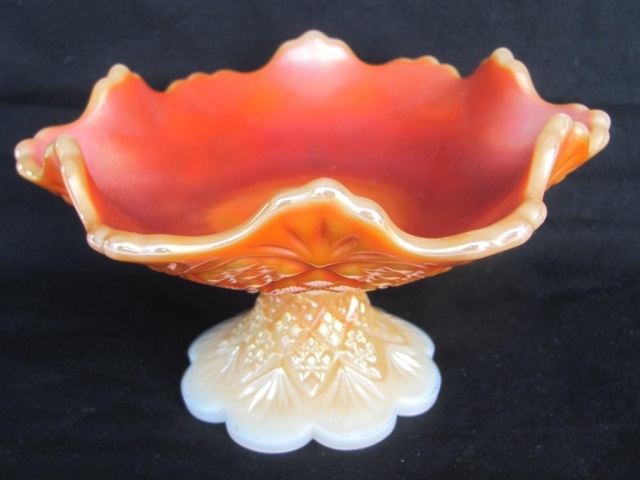 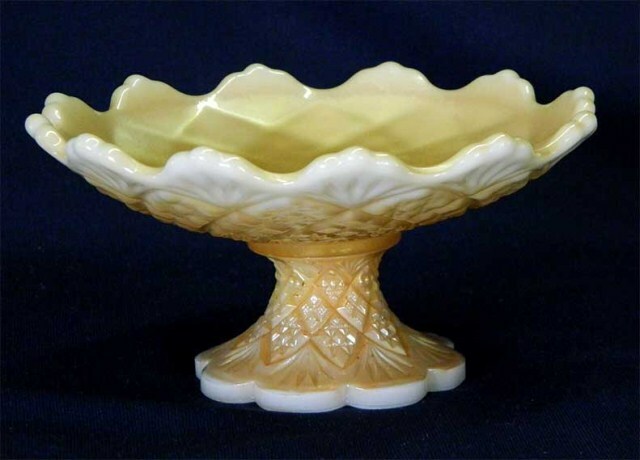 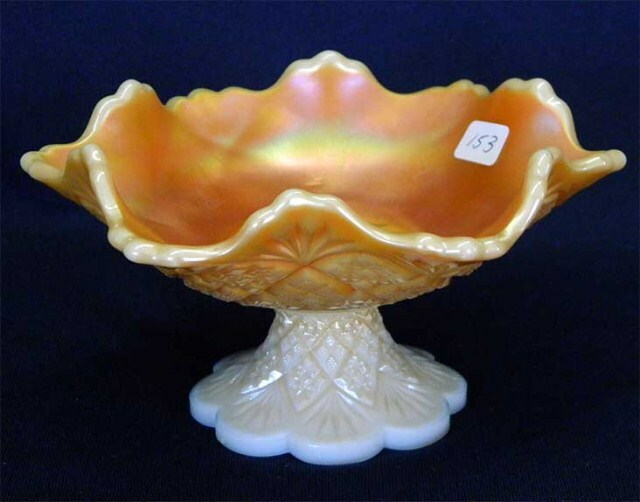 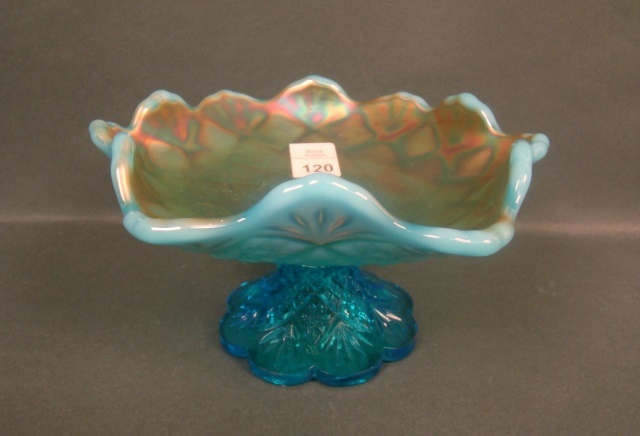 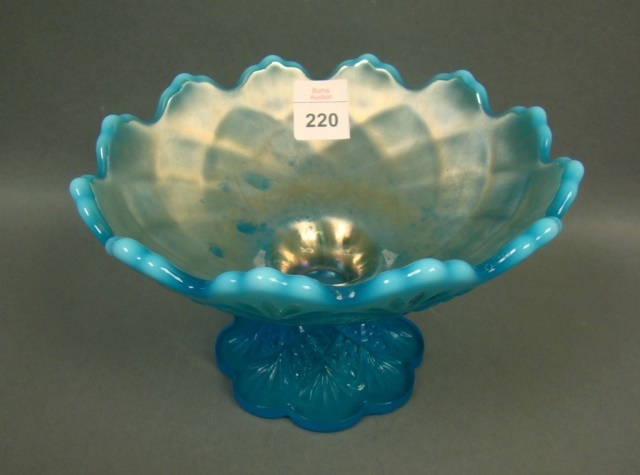 This same File and Fan mold is still being used to make miniature punch bowls and rosebowls.